Alexander Roland Milne (died 1904, aged 65) Past Grand Master – Temple Lodge, No.33, Duncan, B.C. 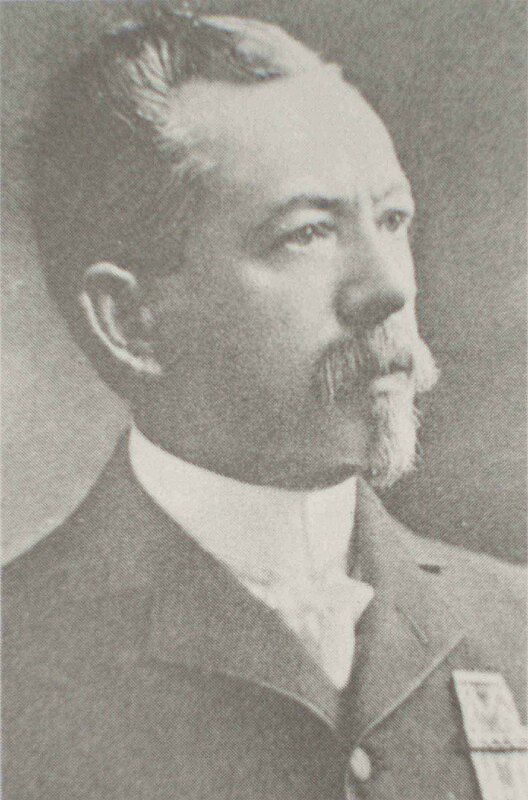 As part of our Vancouver Island Masonic History Project and our series on Vancouver Island Cemeteries – Masonic Interments, here is some information on Alexander Roland Milne (died January 1904, aged 65). Alexander Roland Milne served as Grand Master of B.C. in 1887-1888. He is buried in Ross Bay Cemetery, Victoria, B.C. 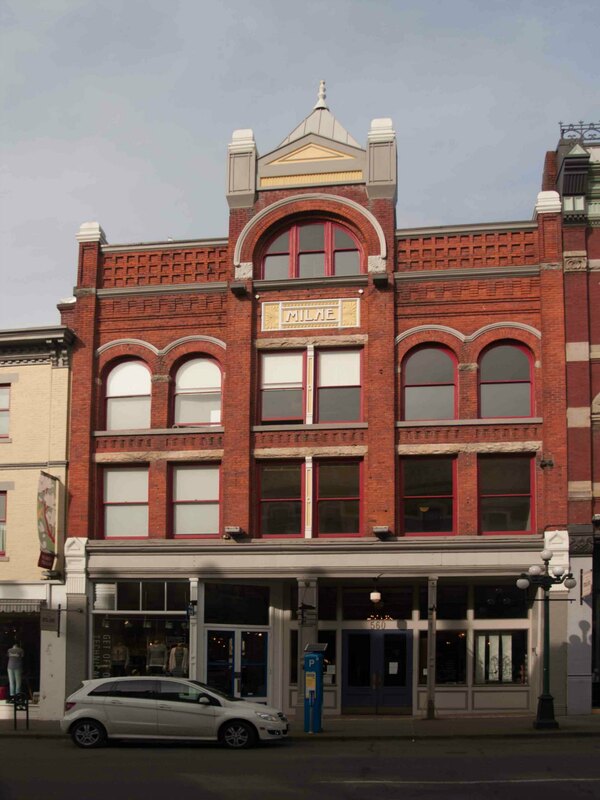 The Milne Building in the 500 block of Johnson Street in downtown Victoria was built for him in 1891. As far as we aware, Alexander Milne still owned the Milne Building at the time of his death in 1904. Here is some biographical information on Alexander Roland Milne taken from various sources, including newspaper reports of his death and funeral. “MILNE – At the family residence, No. 17 Queen’s avenue, Victoria, B.C., on the 19th instant, Alexander Roland Milne, C.M.G., a native of Morayshire, Scotland, in the 65th year of his age. The funeral will take place to-morrow (Wednesday) at 2:15 p.m., from the residence above, and at St. John’s church at 2:30 o’clock. The funeral of the late A.R. Milne, C.M.G., which took place yesterday afternoon, was attended by a very large gathering representing the official, commercial and professional life of the city. All were desirous of paying a final tribute to one whom they most highly respected for his many excellent personal qualities, and admired for his great ability. The local lodges of the Masonic order, of which the late collector was a past grand master, had charge of the interment arrangements. They attended in a body, while members of the Odd Fellow lodges and the Knights of Pythias formed part of the cortege. Officials of the customs department, with whom Mr. Milne had so long been associated, and members of the board of trade, whose duties frequently brought them in touch with him, were also present. The cortege left the family residence, Queen’s avenue, shortly after 2 o’clock and proceeded to St. John’s church, where an impressive service was conducted by Bishop Perrin. The sacred edifice was filled with people and the casket was borne along the aisle between rows of Masons. Members of the Chinese Benevolent Society were also in attendance. At the cemetery the Rev. C. Ensor Sharp conducted the Masonic burial service. The floral offerings were beautiful and many. The pallbearers were as follows: Angus McKeown, R.B. McMicking, D.W. Wilson, E. Crow Baker, W. Dalby and J.S. Clute. 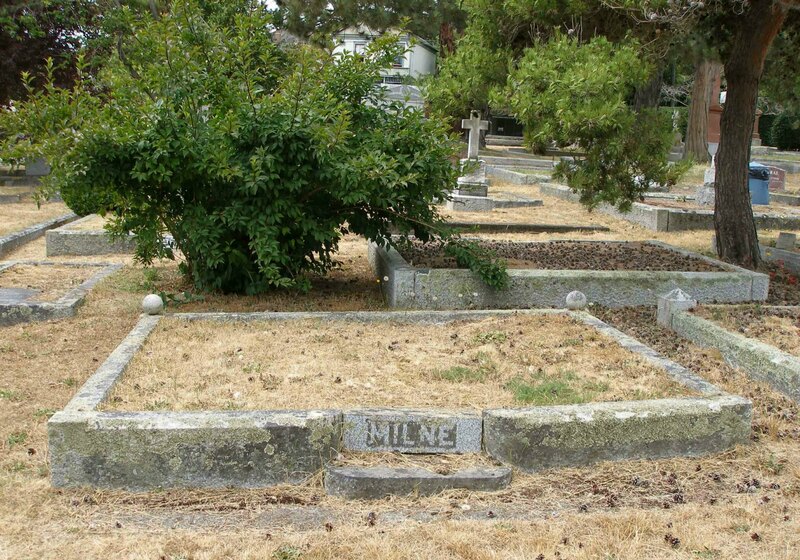 Alexander Roland Milne is buried in Ross Bay Cemetery, Victoria, B.C. Alexander Roland Milne (died 1904, aged 65), grave in Ross Bay Cemetery, Victoria, B.C. Here are the funeral notices for Alexander Roland Milne which appeared in Victoria daily newspapers in January 1904.